There are MANY CHOICES are available to you in arranging a funeral. This guide discusses some of them in detail. The decision to bury or cremate is a very personal one, often influenced by costs and the practices of a person’s culture or religion. A burial is the process of placing the deceased person in a coffin and then into the ground (a grave) and covering it over with soil. Deceased people can be buried either in a lawn section of a cemetery (where a small plaque or monument may be erected at the head of the grave) or in a monumental section (where a monument completely covers the grave).Burials are much more expensive than cremations. Cremation is the reduction of a body to ashes by fire conducted in a purpose-built crematorium. One of the advantages of cremation is that it is less expensive than burial, saving you a lot of money. Cremation also does not take up land space and for this reason many people consider cremation more environmentally-friendly. Cremation offers families a range of opportunities to commemorate the deceased in an appropriate manner following the actual cremation — such as scattering the ashes in a place with special significance. Which is more popular – burial or cremation? The number of people in Australia choosing to be cremated is steadily increasing. Whilst there is some variance between states and territories, cremations now generally outnumber burials. Cremation funerals are much more common in city areas where crematory facilities are available. Burials predominate in rural and remote regions. If you decide to bury, look at your options and compare prices between cemeteries. In some cultures, entombment in a mausoleum is the preferred resting place for the deceased. The mausoleum is constructed above ground and allows the coffin to be placed in a crypt which is then sealed. A mausoleum is a unique type of interment, with a courtyard-style area being beautifully finished in granite and marble. A growing number of individuals consider themselves non-religious and don’t mix in a faith community. Also, many people consider themselves spiritual but not necessarily religious. If you fit into either category, you might feel unclear about how to design a tribute that is fitting when someone you love dies. Our research shows that friends and family often want to participate in a personalised gathering, but may be uncomfortable or unable to speak publicly about the loss of a loved one. A Funeral Celebrant is trained and certified to provide a funeral, memorial or celebration of life service that is highly personalised to reflect the character, lifestyle and beliefs of the person who passed away. Celebrants encourage participation by family and friends in helping to create a meaningful ceremony. The Celebrant then writes and facilitates the ceremony for you. Funeral Celebrants support the individual or family decision to present a spiritual and/or non-religious gathering. Clergy are generally cheaper than a celebrant. Fees vary from one celebrant to another. Don’t forget to shop around and get quotes. What’s the difference between a coffin and casket? Coffins and caskets are one of the most expensive items for any funeral. A coffin has a familiar shape and widens out from the top and narrows toward the feet. The lid also comes off with a coffin. A casket is shaped with straight sides and has a hinged lid. There is a wide range available. Coffins and caskets vary in materials and costs. Some companies can rent a coffin for the funeral. This comprises a normal looking coffin shell with a chipboard box inside. Only the chipboard box is cremated or buried. The outer coffin shell can be kept and hired for re-use. Burials or cremations are not permitted without a sealed coffin or casket (except where some religious institutions have obtained exemptions). A family carpenter can make the coffin — but it will have to comply with government regulations, the funeral director’s handling and strength requirements and any crematory requirements such as coffin dimensions. Metal liners, metal inserts, PVC or latex-based rubber materials are not permitted in or on coffins or caskets used for cremation because unacceptable emissions or residues can result. Depending on the size of the funeral director’s business, you will be able to choose the coffin or casket from floor stock or from a catalogue. You may notice that different funeral directors ask higher or lower prices for exactly the same product. With burials, some people like to place religious or sentimental items inside the coffin or on its lid. In most cases this will not be a problem. However, problems can arise with items placed on top of the gravesite itself. For aesthetic or safety reasons the cemetery may not allow this. It is always wise to get advice from the funeral director or cemetery beforehand. There are also a number of items that cannot be placed inside coffins during cremation as these can cause explosions. The Australian Cemeteries and Crematoria Association publish a document relating to contents of coffins. Don’t be rushed into selecting and coffin or casket. Take your time and ask lots of questions. Choose a coffin or casket within your price and budget. Ask the funeral director to see the entire range of coffins and caskets on offer. Don’t be swayed by the funeral director to upsize. Stand your ground. Don’t feel shamed if you choose a coffin or casket at the lower price range. You are among friends. Purchase your own coffin or casket from a private supplier. Eco funerals are a statement of personal values for some people seeking to leave a legacy of care and respect for the environment. 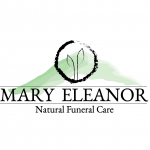 Eco funerals promote the use of biodegradable burial products such as simple wooden caskets, handmade caskets including wicker caskets or burial shrouds. Eco burial offers an environmentally-sensitive burial alternative to conventional funeral products. Cremation urns are used to hold the cremated remains (ashes) of a loved one. Cremation urns are often referred to as memorial urns or burial urns and come in many different types and sizes. Choosing a cremation urn is a very personal choice which takes time. Finding and deciding upon an urn which best suits both the personality of the deceased and the tastes of the family is an important decision. Sending flowers to a funeral or sending sympathy flowers to the bereaved are popular ways to convey compassion and condolences. Beautiful blooms, elegant bouquets and decorative wreaths at a funeral can offer the bereaved family comfort when having to deal with the loss of a loved one. The two most commonly used flowers for funerals are roses and carnations but these can be mixed with lilies, asters, delphiniums and gerbera daisies. These types of flowers are popular at funeral services because they add colour, set the tone and lighten the mood. What are the different types of funeral flower arrangements? Funeral wreath: a floral presentation in circular shape symbolizes eternal life. Floral spray: a ‘spray’ means flowers designed for viewing from one side only. Sprays can be placed on an easel. Floral arrangement: this is a mix of fresh flowers displayed in a vase, basket or other container. Casket sprays: this is a floral spray designed for the top of the casket and is usually ordered by the family. Many bereaved families wish to restrict the sending of floral tributes to immediate family members only and request that, as an alternative, donations are made to a charity or other organisation. Donations in legacy are increasingly popular and can help raise important funds for a charity or good cause of your choice or that of the deceased. A funeral can be a wonderful celebration of someone’s life and often people like to incorporate special and unique music and multi-media into the service. There are no rules about the type of music that is best. A particular funeral song can remind us of the person who has passed away and provide moments of precious memories. 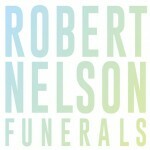 You might choose a funeral song for the lyrics, to summarise how you’re feeling as an alternative to saying it yourself. When we are dealing with overwhelming grief, music has the ability to soothe and comfort us. Funeral songs that have meaning to you and your loved one are a perfect choice — his or her favourite song, the song that was playing when you met, the songs you liked to sing together. Funeral songs that reflect the personality of your loved one are also a good choice. Beautiful hymns, classical music, or gentle Celtic airs also provide soothing background music and are often played while people are gathering in the chapel or funeral home. Live music is very powerful – it can express love, joy, sadness, celebration, humour and solemnity. It can provide comfort and has been used for centuries to mark life’s special occasions. The following music and songs are provided as suggestions. Funeral media tributes such as DVD productions or photography of the funeral or memorial service itself provide a lasting memory for those left behind. Memorial DVD slide shows can be a great reminder of how someone lived their life, for both old and young family and friends. You can choose to show such a presentation at the funeral or memorial service, or just keep it or distribute it to guests for personal viewing. It can incorporate photos of the person’s childhood, family, talents, hobbies and achievements; it can be funny or serious; set to music, or played in silence. There are now many companies that can create these tributes using various computer software programs. Many funeral homes now have large screen TVs and projectors in their chapels. Some people may think that taking pictures or filming a Church Funeral, Cremation Ceremony or Memorial Service is a bit macabre, but for a lot of people it means a great deal to be able to look back on what is a very emotional day. It’s also a day when people might share their personal memories of the deceased, often saying wonderful things or telling old stories, some of which you had forgotten or even never knew. These new memories will become very special, but understandably, you may be overcome with emotion on the day and unable to take it all in at the time. This is where a professional can discreetly record the day and you can watch the event at a later date and in your own time. Also, if there are relatives living abroad and unable to attend the funeral or cremation service, you can send them a recorded copy of the day so that they can feel included in the memorial service. One aspect of a funeral that family members often undertake themselves is the after-funeral gathering or wake. Providing refreshments after the funeral is a caring gesture towards those who have attended. It offers another reason for people to stay together, reminisce and provide support for each other rather than rushing off straight after the service. Funeral caterers can allow families to concentrate on the funeral, knowing that the wake is taken care of and they can participate fully in the gathering. Caterers can simply deliver the food and then return to clean up, or you can book a complete service including preparing the venue, providing linen and utensils, supplying bar staff and servers and basically removing any fuss and bother for the family. The following information will help you find and select a funeral director you are comfortable with and who offers services at a reasonable price. Registering the death after the issue of the Medical Certificate of Cause of Death (including a Cremation Certificate if required). Transferring the body from the place of death to the funeral director’s premises in accordance with strict health rules concerning handling, transport and storage. Meeting you at your home or in their office to discuss your preferences and options. Depending on what you decide, a meeting like this may be less than 30 minutes or up to two or three hours. Coordinating between your clergy (or a funeral celebrant if you wish) and the cemetery or crematorium to decide when, where, and what type of service will be needed. In most cases cemeteries and crematoriums will not deal directly with anyone other than a funeral director. Preparing and placing death, funeral and obituary notices in newspapers of your choice and organising flowers. Preparing the body for burial or cremation. Supplying a coffin or a casket. Providing a place for a viewing of the body by friends and relatives if desired. Transporting the body by hearse to the ceremony and then to the cemetery or crematorium. Providing special cars for mourners. Paying fees for such things as the cemetery, crematorium and flowers on your behalf. Advising and helping you with paperwork involved in accessing any financial reimbursement associated with the funeral (such as a funeral fund). 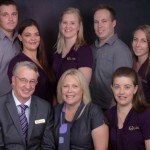 Is the funeral director a member in good standing with the peak funeral directors associations? What should I do after I have chosen a funeral director? Different funeral directors can charge different amounts for the same service. So try and get more than one quote and compare costs. Ask for a detailed and itemised price list of all fees and charges before making a decision. Get a written quote giving details of all costs you will be charged. 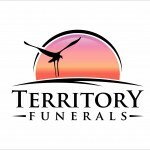 Get a detailed list of all fees paid by the funeral director to third parties (disbursements). Check the wording of the contract for any hidden fees or charges. Make sure you read it carefully and ask the funeral director to explain anything that you do not understand. 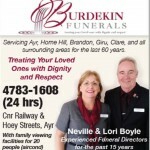 Get an itemised quote of funeral costs from the funeral director. Funeral poetry, readings and verse can enhance a funeral service or ceremony whether it is religious or non-religious. You can share how you feel about someone you have lost and pay tribute to the memories that you hold dearest. You can find an extensive selection of funeral poems at this website or simply Google “funeral poems”. A funeral notice is placed by the family, usually through the funeral director. It is an opportunity to publicly announce the death and funeral details of your loved one, and can also be used to pay tribute to the deceased. Details of where any donations or flowers can be sent may also be included. Death notices are placed by families and friends as a mark of respect and to offer condolences and sympathy. Bereavement notices are placed by families to thank hospital staff for their help, or to friends for their flowers and thoughts. These notices are placed by families to commemorate the anniversary of the death. You can ask the funeral director not to include their business logo in your notice; otherwise you will be paying for their advertising. Doves, butterflies, balloons . . .
A memorial release at a funeral or memorial service can be a meaningful farewell to your lost loved one, giving comfort and sense of peace to family and friends. A memorial release traditionally takes place at the closing of a graveside service or outdoor ceremony. Funeral releases are often timed for after the reading of a Bible verse, poem, or a moment of silence. The white dove has long been the symbol of faith, fidelity, peace and love. At a funeral or memorial service, a dove release can be a peaceful and healing tribute, as well as a beautiful way of expressing a final letting go. The releasing of white doves might bring a feeling of peace and calmness, helping bring a sense of closure to family members of the lost loved one. The doves are trained to return home after their release. You can choose to release a single bird or a flock. Releasing butterflies adds a unique and memorable touch to a funeral or memorial service. The butterfly is symbolic of freedom, love and new life or the beginning of a new journey. Butterflies flying free can also represent the “setting free of the spirit” and releasing butterflies is a reflective yet uplifting experience. Popular at weddings, releasing balloons is not uncommon at funerals as well. Although some people choose not to release balloons because of perceived environmental damage, latex balloons by themselves are in fact a natural product and 100% biodegradable. The golden rule if you choose a balloon release is to make sure you only use latex balloons, and do not attach any string or ribbon to the neck. Many people now wish to make their passing a happier occasion, more of a ‘celebration of life’ where family and friends can remember someone as they were in life. A truly memorable fireworks display can be a wonderful way to commemorate the life of someone special. The firework display can be large or small, loud and spectacular or subdued and beautiful — whatever suits the person in mind. Keep in mind that restrictions apply and vary from State to State. Funeral stationery, such as a program or memorial booklet, is an important part of the funeral service. The stationery not only serves as a keepsake for those who attend the service, it also allows the family to honour, celebrate, remember, and tell the life story of their loved one. Today, because of the ease and low cost of creating and producing printed materials, there is a vast array of stationery options to choose from. Everything needed from memorial folders, prayer cards, attendance cards, bookmarks, signs, DVD packaging, and even candles can be printed to meet individual needs. Transporting a coffin to a funeral can be done in more ways than most people may realise, and can be one of the easiest things to personalise and make memorable if you choose. Most people settle for the hearse and limousine supplied by their funeral director, but there are a multitude of companies offering a wide choice of specialist vehicles for this purpose. Would you prefer a motor or horse-drawn hearse? An additional hearse may also be required to carry the flowers. What type of hearse would you prefer? Would you like a standard hearse or something more unusual such as a motor-cycle hearse or a horse-drawn hearse? Will it take a special route? Where will you return to? Will you require wheelchair access? There are many places where you can hold a funeral and/or a wake. If you or the person who passed away attended a particular church or other place of worship, then that church may be the fitting place to have the funeral service. When you learn of someone’s death, it’s common to want to send something to the bereaved to express your condolences. What you decide to give will usually depend upon your closeness with the family of the deceased, their faith and even their needs during their time of loss. In almost every situation, those in mourning will appreciate donations made to a charity in memory of the deceased. Often, the family will include in the obituary the names of suggested charities. The mourning family may state that donations to a charitable foundation are preferred to floral tributes. For many people who have lost loved ones, the whirlwind of activities surrounding the funeral consumes their attention. It is during the subsequent weeks and months that the feeling of loss really hits. Gifts that commemorate their loved one’s memory can serve as a constant and comforting memory that although their loved one may be gone, his family and friends have not forgotten him. Memorial jewellery is something that can be treasured for generations and gives the bereaved a tangible way to keep their loved one’s memory close. There are several types and styles that you can choose from, all customized in special way. You can engrave these pieces with the loved one’s name and memorial dates, include her birthstone or her photo. A stone memorial provides tangible evidence of a life lived, and a sense of focus at which the bereaved can remember and reflect. It plays an important role in the grieving process, forming a link between the past, present and future, helping to unify families and generations. Memorials must be approved before they can be erected at cemeteries. Memorials at cemeteries are big business and one of the largest purchases consumers make after a funeral. Memorial mason costs can vary between $7000 and $10,000 per grave. A monument can be a traditional stone memorial that is erected in cemeteries or churchyards; a plaque marking where ashes have been laid; a memorial bench or even a more personal sculpture or artwork. Pall bearers are people who carry the coffin during the ceremony. Some families decide that they would like to carry the coffin themselves and bearers may be friends, family members or colleagues of the person who has passed away. Alternatively, many funeral companies can arrange to supply bearers. The eulogy is the speech or presentation during the funeral ceremony that talks about the life and character of the person who passed away. The eulogy acknowledges the unique life of the person who passed away and affirms the significance of that life for all who shared in it. The eulogy typically lasts 15-20 minutes, although longer presentations may also be appropriate. The eulogy can be delivered by clergy, a celebrant, a family member or a friend of the person who passed away. Instead of a traditional eulogy delivered by one person, you may choose to ask several people to speak and share their memories. There is also a growing trend toward having people at the funeral stand up and share a memory of the person who passed away. This works well, especially at smaller or less formal gatherings. Your funeral celebrant can write the eulogy for you or they can work with the family or close friend, to craft the eulogy together. When preparing a eulogy, ask yourself, “What stands out to me about this person’s life?” “What are some special memories I’d like to share?” “What were the times I felt particularly close to this person?” “What were some admirable qualities about this person?” Some of these memories can be amusing. The eulogy doesn’t have to cover every aspect of the person’s life. Often the best eulogies are those that focus on the eulogy-giver’s personal thoughts and memories. Do try to acknowledge those who were closest to the person who passed away as well as important achievements in the person’s life, but don’t feel obligated to create an exhaustive biography. A single service is commonly held entirely at one location. The most common places for a single service are at graveside, crematorium or the funeral home chapel. A double service is the most requested type of funeral. It usually involves a service either in a church or at a chapel and then a funeral procession to the cemetery or crematorium. This provides the greatest opportunity for tradition and participation of family and friends. The format of a funeral service can have a considerable effect on costs. It is much simpler if you combine the ceremony and service at the same location. Keep in mind that a big drawback of a service at a cemetery or crematorium is the time constraints set by cemeteries and bookings of other funerals before and after your own. Other combinations of the above (18%). The decision of whether to view the deceased is a personal one and may be determined by religious or cultural beliefs. Some people take comfort from seeing the deceased at rest. A viewing can also afford family members and friends an opportunity to say a personal farewell, while other people prefer to use a closed coffin that is farewelled at the funeral. The choice of apparel is also an important part of the viewing process. Often the favourite clothing of the deceased is chosen. However, any personal selection is acceptable or the funeral director can provide a burial garment. A viewing is a matter of choice, but it is advisable to canvas opinion amongst family members. Private remembrance rooms are available at many funeral homes or some people may wish to have the deceased at home.